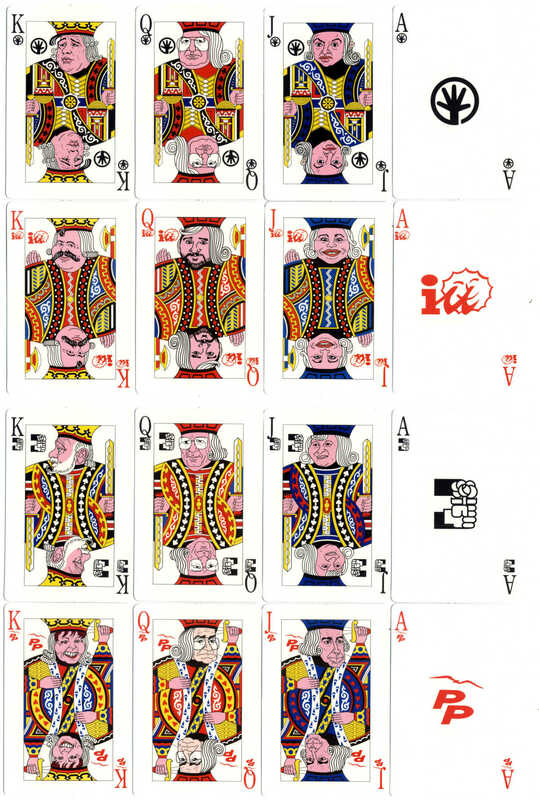 Political caricature playing cards designed by Antonio Olveira, published by the Málaga newspaper “Diario 16” on the occasion of the 1995 local elections. Each suit represents one of the main political parties with their logos on the four Aces and their most notorious representatives in Málaga as the court cards. The same ‘International’ court designs are used, with different colour schemes, for the three courts in each suit, but with a different face at the top. ♠ Partido Socialista Obrero Español; ♥ Partido Popular; ♦ Izquierda Unida; ♣ Partido Andalucista. 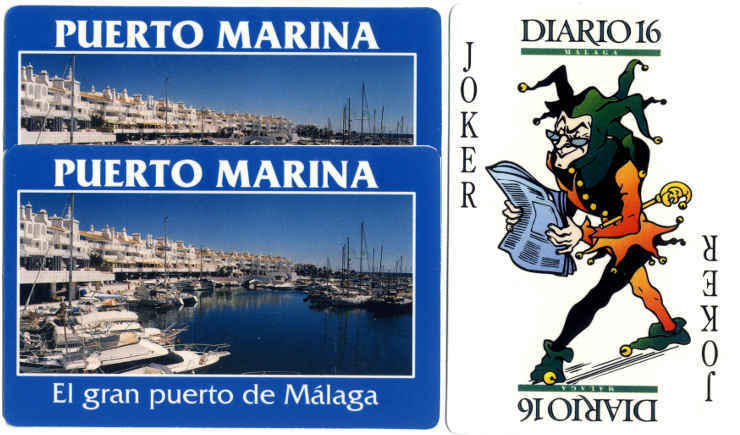 The reverse of the cards has publicity for Puerto Marina Málaga. 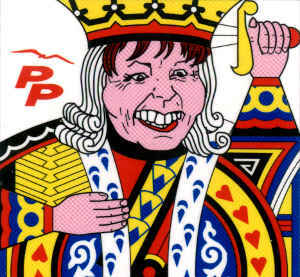 Above: political caricature playing cards published by the Malaga newspaper “Diario 16” on the occasion of the 1995 local elections. 44 cards + 4 (identical) Jokers, 87x57mm. The reverse shows publicity for Puerto Marina Málaga.